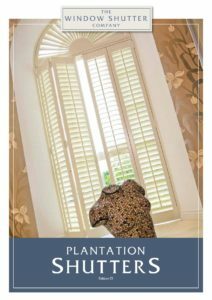 Interior plantation shutters are arguably the best window dressing for a bay window. 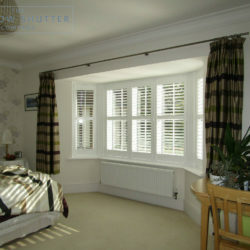 Mounted to suit the shape of the window, unlike curtains, shutters retain the original intention of the bay. They work equally well in a modern or period property, following the shape of the bay, creating privacy whilst maximising light in the room. 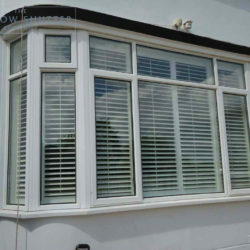 Our expert and friendly team are here to help you design the right window shutter solution for your bay window, as quickly and efficiently as possible. How much do bay window shutters cost? 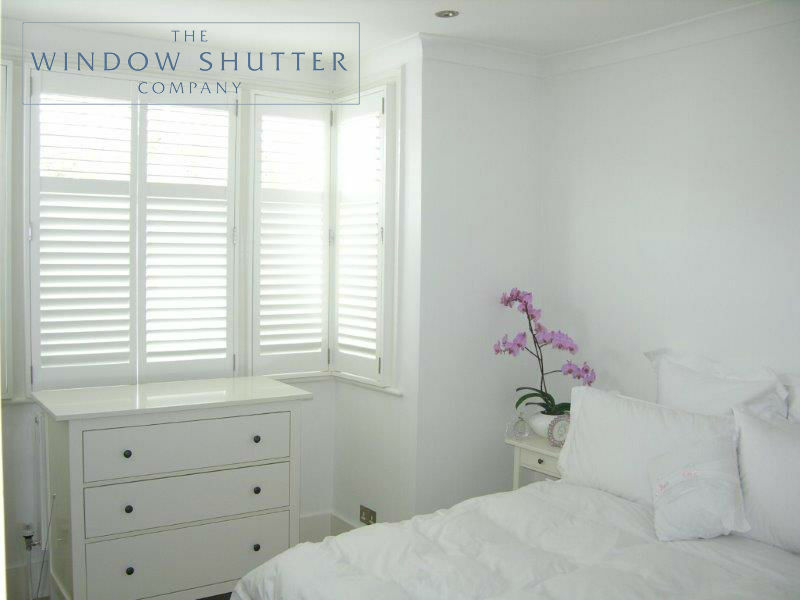 Bay window shutters, and indeed all our shutters, are costed on the overall size of the window and the material used for the shutters - we have a wide product range for you to choose from. Shutters are not expensive when you consider your alternative options and how long they’re going to last. How do you measure a bay window for shutters? The quickest and easiest way for you to get an idea on cost is to send us your window dimensions and location (and an image of the window if you wish) and we will happily supply you with a guide price for consideration. If you’re unsure how to measure, please take a look at the how do I measure for window shutters article on our website, which includes step-by-step instructions for how to measure shutters for any type of bay window. If you want to proceed, we always complete a free home design visit where we will discuss the design and your configuration options, show you some samples and take the final measurements. 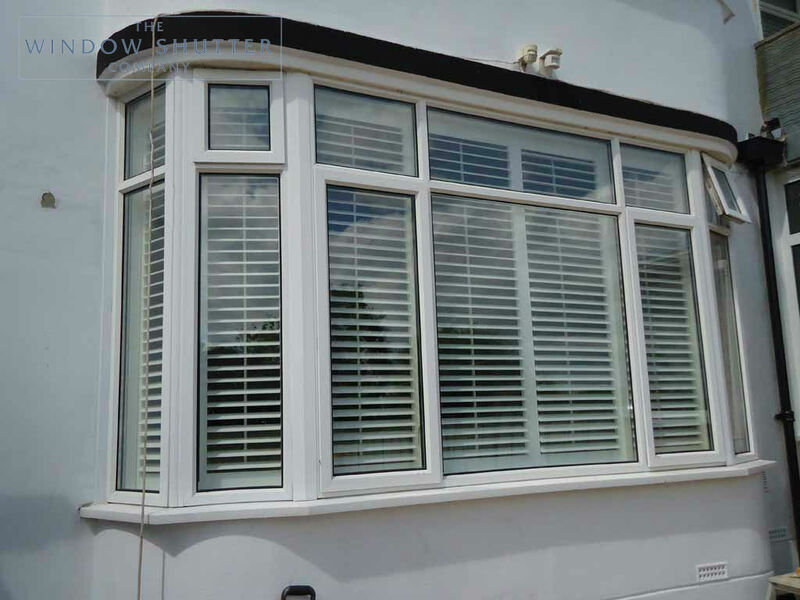 Can you fit shutters to UPVC windows? Yes we can, fitting to UPVC windows is common where no reveal is available. We can install our custom, made-to measure shutters to all types of bay windows, including box, angled, multi-angled and curved bay. What shutter style can I have in a bay window? There are different design options available for bay windows. 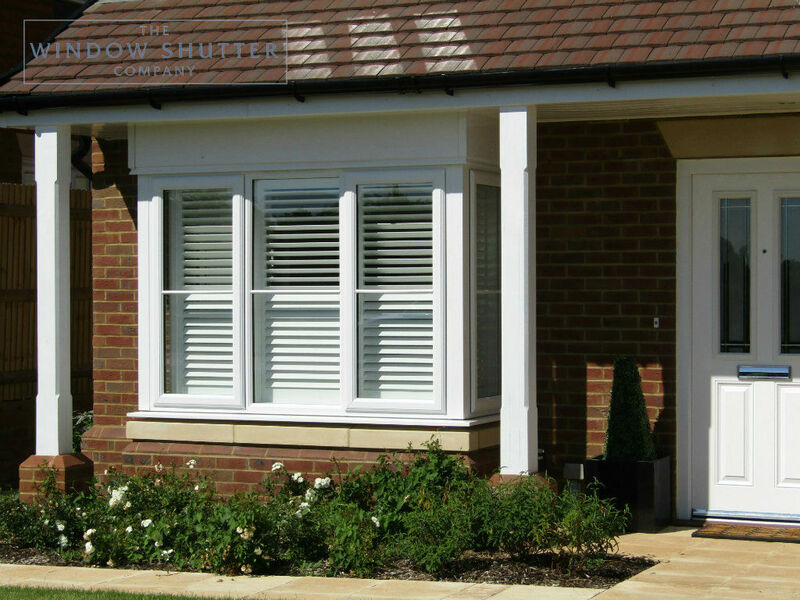 Full Height shutters tend to be the most popular and practical in design, but we can discuss alternatives such as Café Style or Tier on Tier options too. Full Height negate the need for any further window dressing and will create maximum privacy and light control. As mentioned above, at your free home design visit we’ll walk you through your options, which include choosing the appropriate material and finish for your shutters. 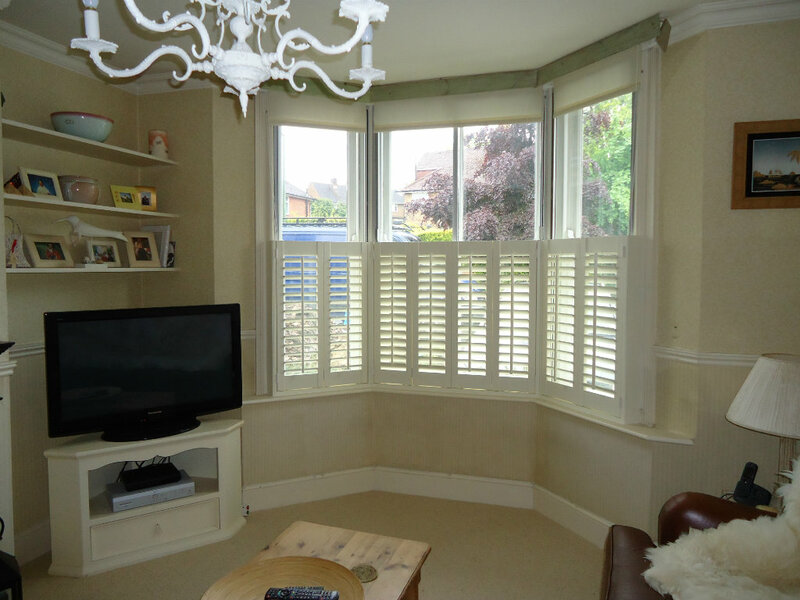 Are there benefits to having shutters in a bay window? 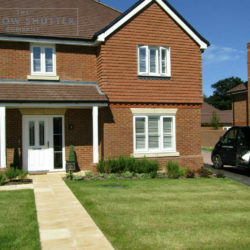 Many of our customers tell us how they wish they’d had shutters installed earlier! 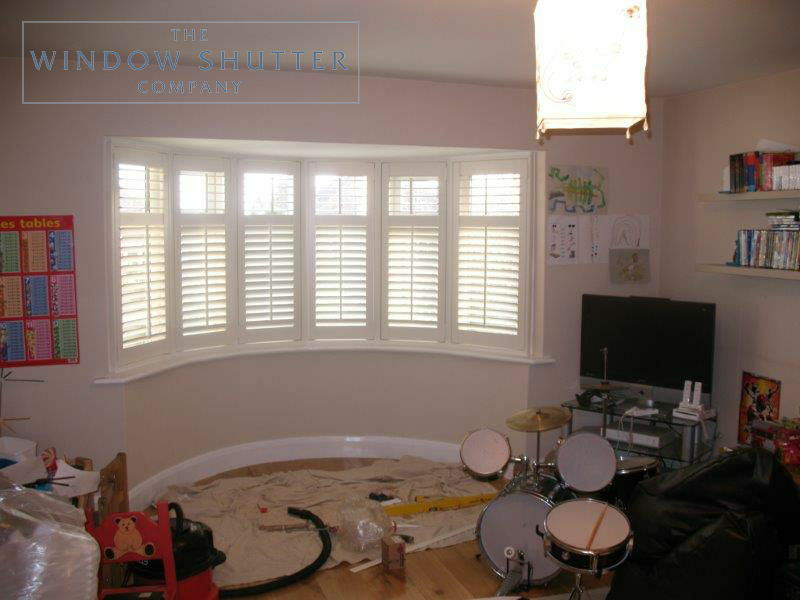 Once fitted, the versatility of bay window shutters becomes clear. Not just the obvious kerb appeal or stylish finish to a room. They offer privacy to what are often road facing rooms. They also make a room a feel bigger as there is nothing hanging down or cutting across the front of the bay. 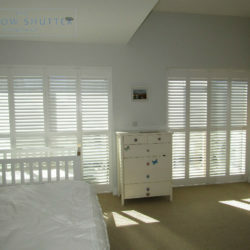 Shutters have different light control options and will flood your room with light, even when the louvres are tilted. You can also consider having the top section of louvres operating independently of the bottom section – something you can’t do with blinds. Will our shutters fold back? Many companies will use individual framed units which are then butted together to dress the window. We may use this mounting style in a Victorian bay, for example, where there are large mullions between the window frames. In more modern windows, where we can, we will use a different method and create a complete frame using a bay or corner post. 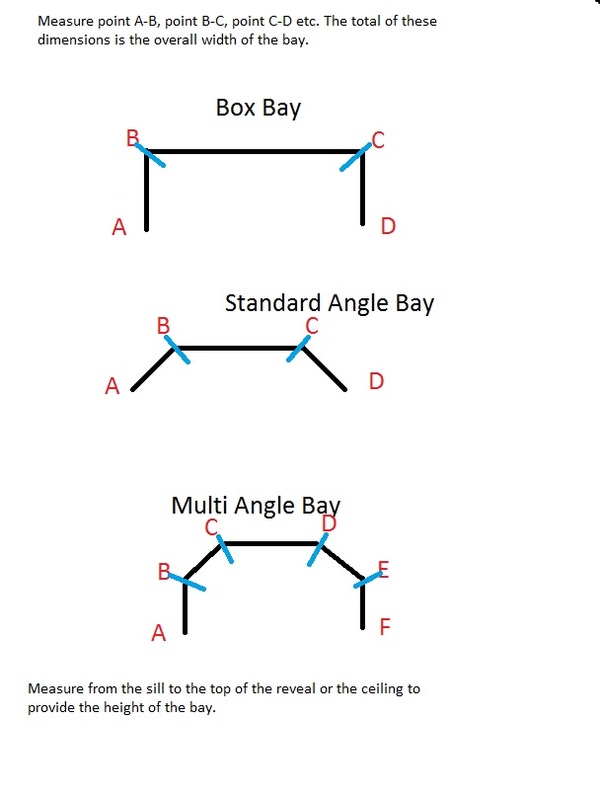 Bay posts are standard 135 degrees but can be customised to any angle and are a solid vertical internal frame post that follow the angle of your bay window. Corner posts are used for box or square bay windows and turn 90 degrees. The idea of the post is to give us a mounting for the panels and be able to build a complete framed unit to match your window in which we can hang these panels. 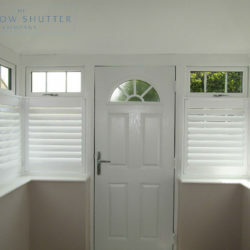 We would note here that unlike curtains on a curved rail, our shutters cannot be completely withdrawn from the window. All panels will open for access to the window but the centre sections will fold over the side when opened. If you want to send us an image of your window with the dimensions, we can try and assess and advise on this further for you, ahead of a design visit. Shutters are easier to keep clean than blinds! Simply, use a brush on a hoover attachment, a microfibre cloth or duster and they will look pristine. Stubborn marks can be removed with a damp cloth. For more information read this article - do I need to clean my shutters and is any other maintenance required? Will they help insulate the room? Shutters in a bay window, which may have the original windows in, will increase insulation and make a room warmer by reducing heat loss. Conversely, in the summer, they help keep a room cooler. 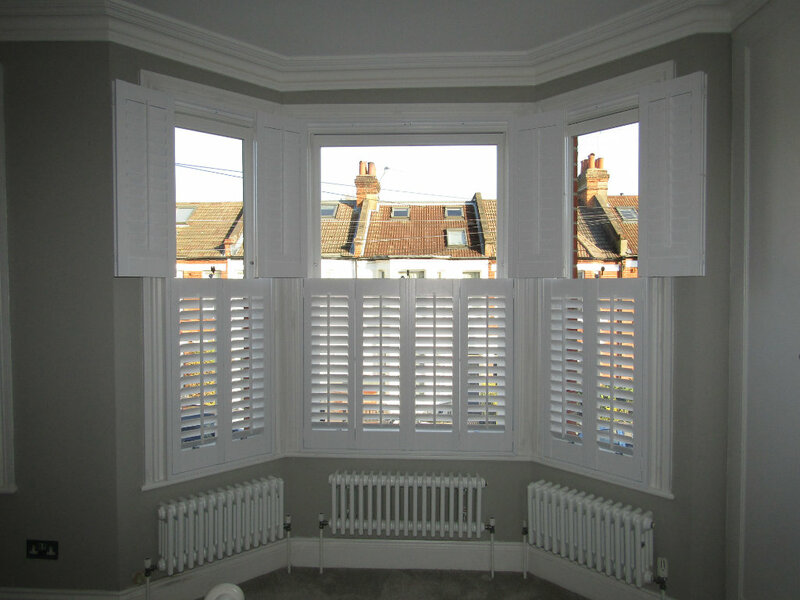 How much experience do you have of installing shutters to bay windows? 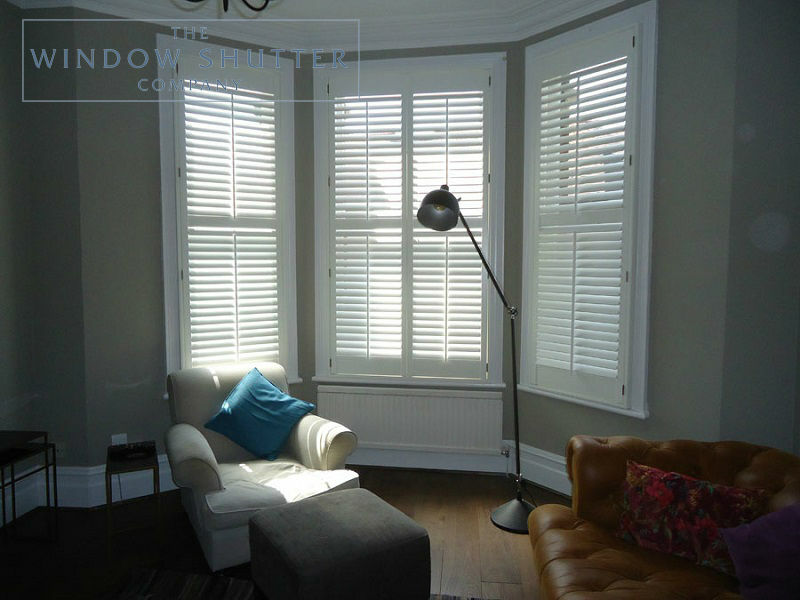 We have fitted literally hundreds of bay window shutters over the years! Some examples of our work can be seen in the case studies highlighted further down this page and you can read our many fantastic reviews on various sites such as Checkatrade, The Guild of Mastercraftsmen, Google and Facebook. 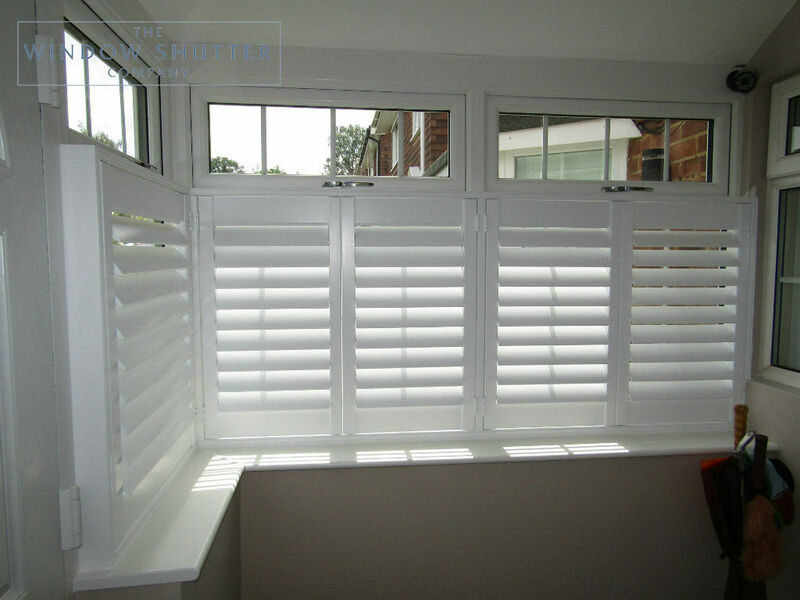 Remember, we install all of our own work and do not subcontract this out so the person you meet at the survey will also be the one installing your shutters. Can I install bay window shutters myself? We offer a full design and installation service and we would always recommend this over self- fit. 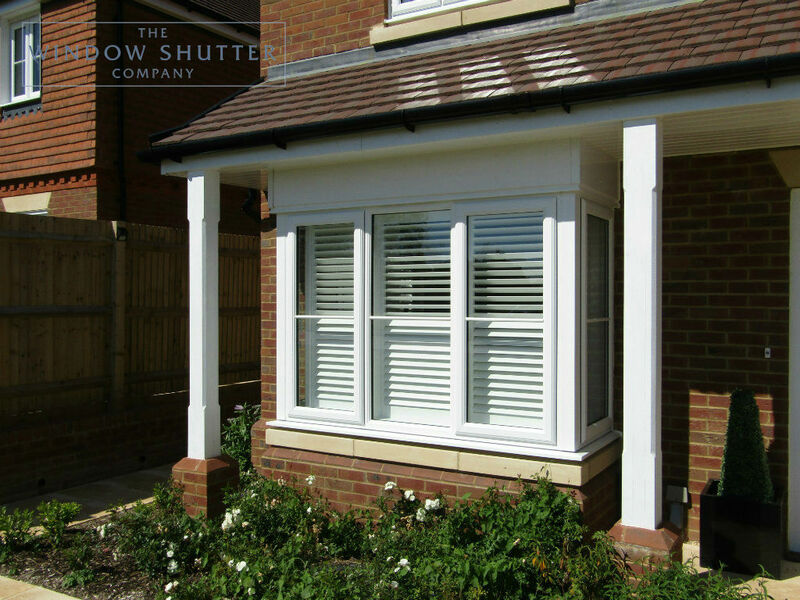 We take responsibility for taking the measurements to the exact millimetre and the angles required to provide a perfect set of shutters for your bay. We liaise with the factory over any queries they may have regarding production and we will then come and install these for you as soon as they are delivered. We have all of the necessary tools and equipment and, as importantly, experience to ensure a perfect installation. What’s more, we take away all of the rubbish so no trips to the tip for you to fit into your busy schedule.